Spider-Man Homecoming – all the details on the UK Home Entertainment releases. The 4K Ultra HD and Blu-ray also contain The Spidey Study Guide, an entertaining pop-up factoid track with facts on the movie in relation to the comics that Spidey fans will love. 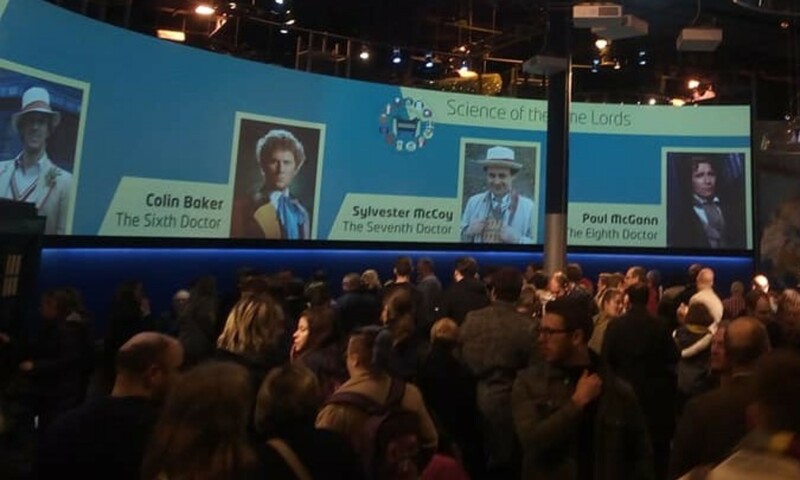 The standard DVD edition has 17 minutes of special features including 2 x featurettes ‘Searching for Spider-Man’ and ‘Jon Watts: Head of the Class”. 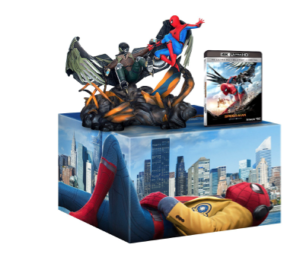 SPIDER-MAN: HOMECOMING is also available as a Limited Edition Figurine box set, featuring a high-quality resin figurine of Spider-Man and the Vulture (approx. 12” by 12”) with a numbered base, plus the 4K Ultra HD and all-new comic. SPIDER-MAN: HOMECOMING has a run time of approximately 2 hours 13 minutes and is rated 12A. Buy Spider-Man Homecoming Blu Ray, DVD, 4K UHD from Amazon. Based on the Marvel comic book by Stan Lee and Steve Ditko, SPIDER-MAN: HOMECOMING is directed by Jon Watts from a screen story by Jonathan Goldstein & John Francis Daley and a screenplay by Jonathan Goldstein & John Francis Daley and Jon Watts & Christopher Ford and Chris McKenna & Erik Sommers. The film is produced by Kevin Feige and Amy Pascal and executive produced by Louis D’Esposito, Victoria Alonso, Patricia Whitcher, Jeremy Latcham, Stan Lee, Avi Arad and Matt Tolmach.